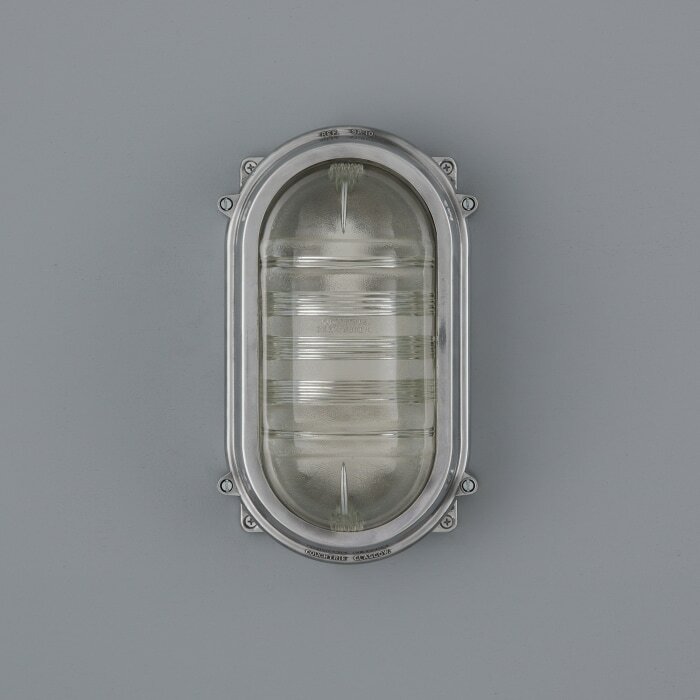 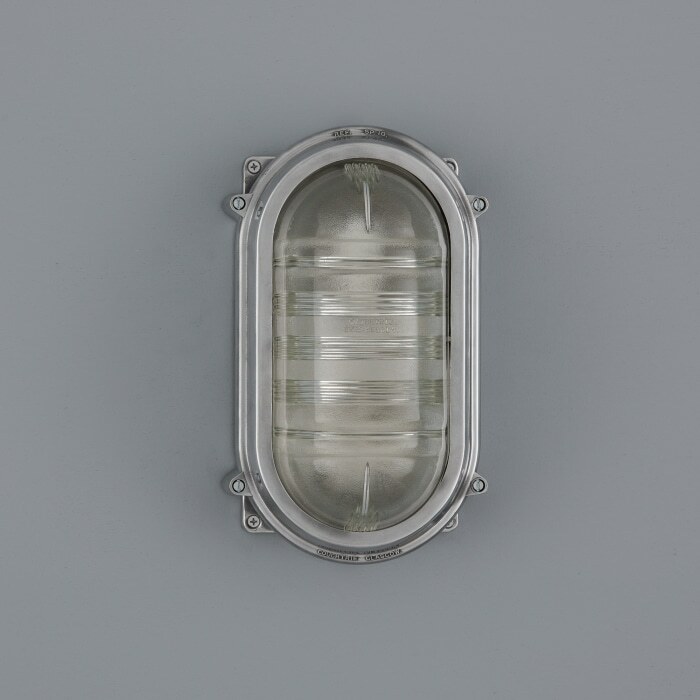 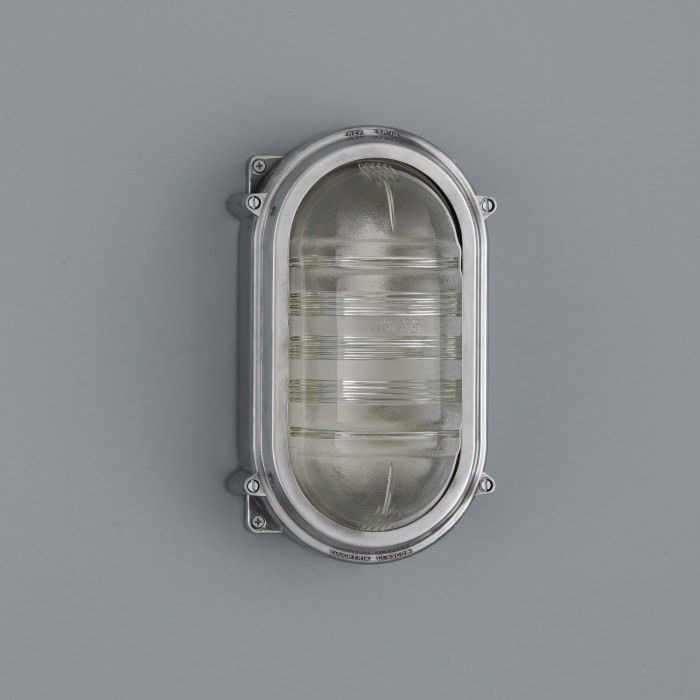 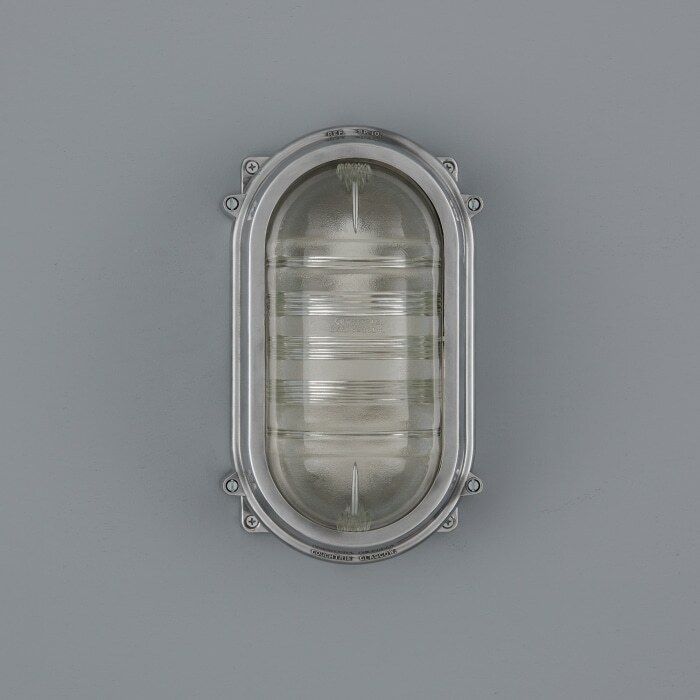 Large bulkhead lights by 'Coughtrie of Glasgow' manufactured in the 1950s. 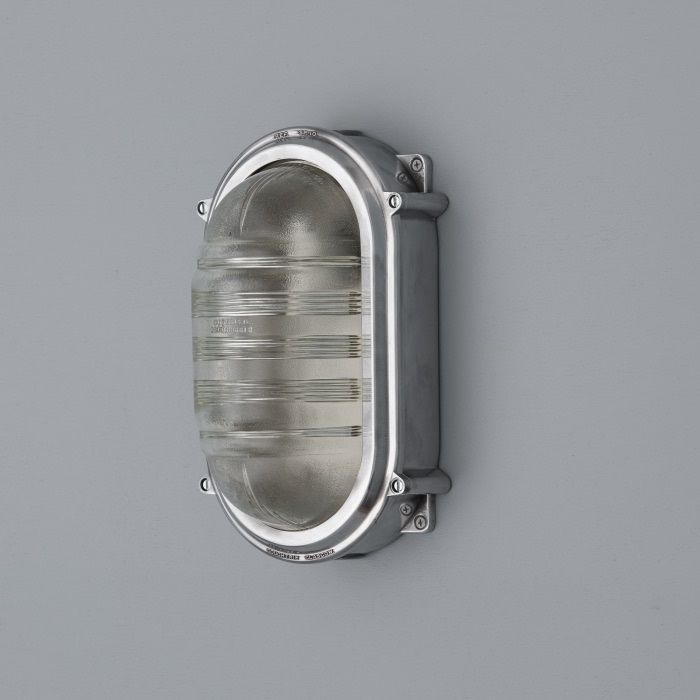 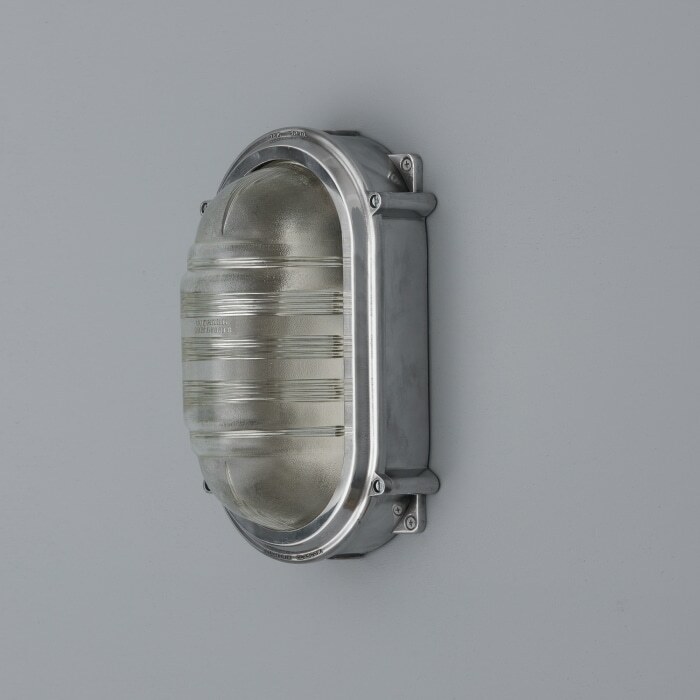 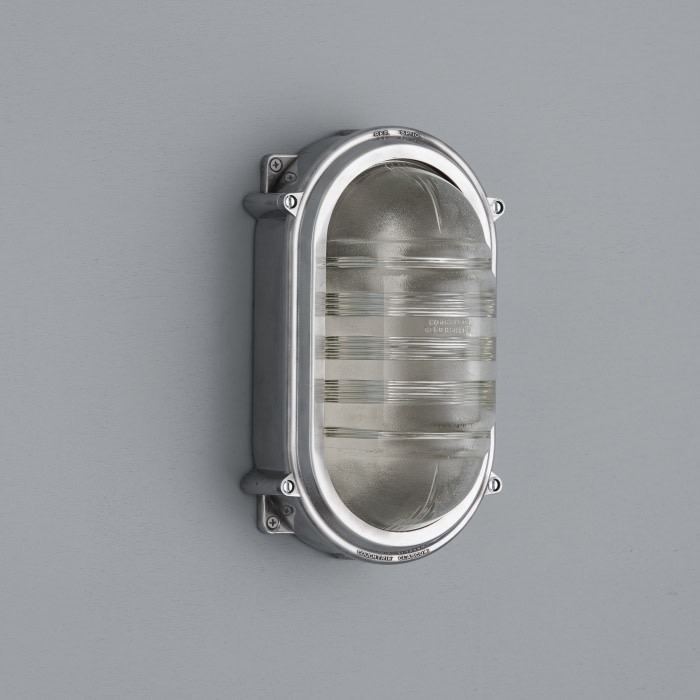 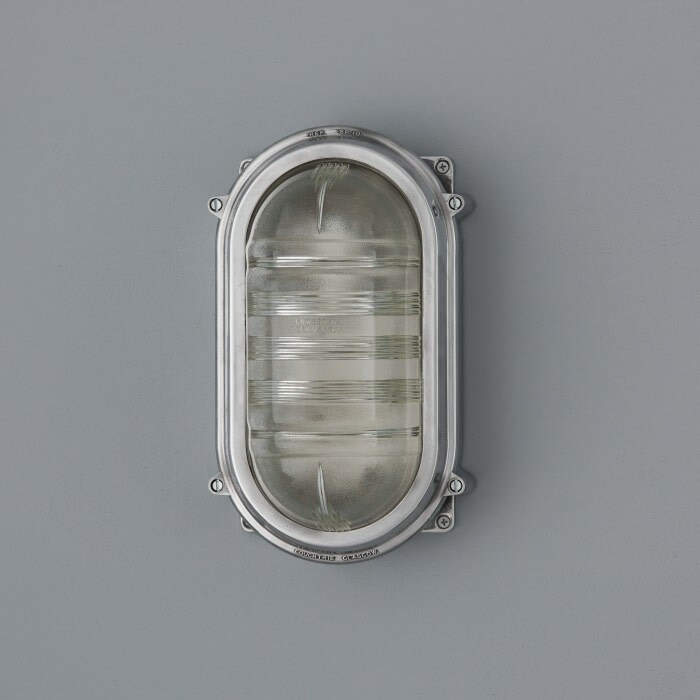 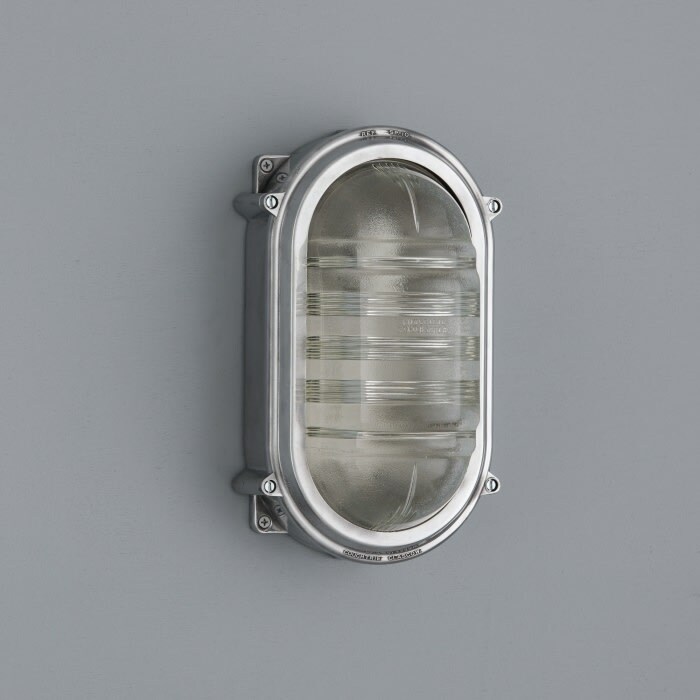 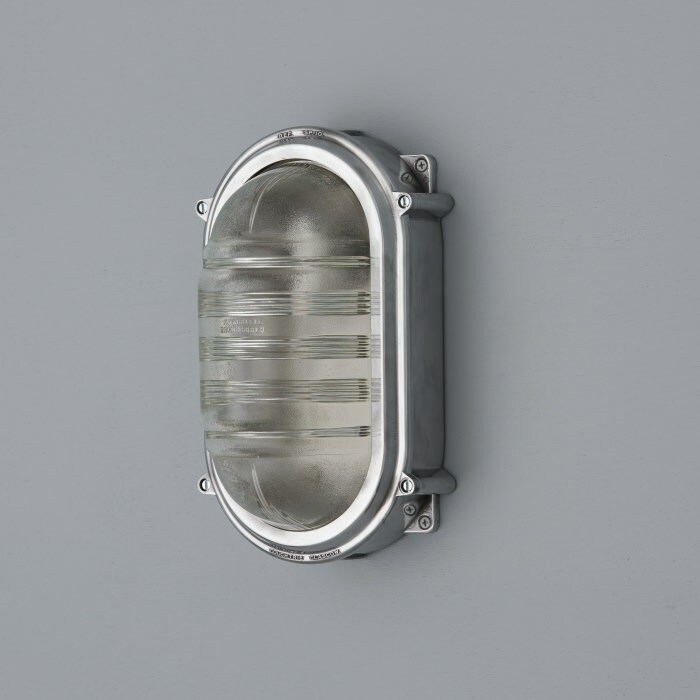 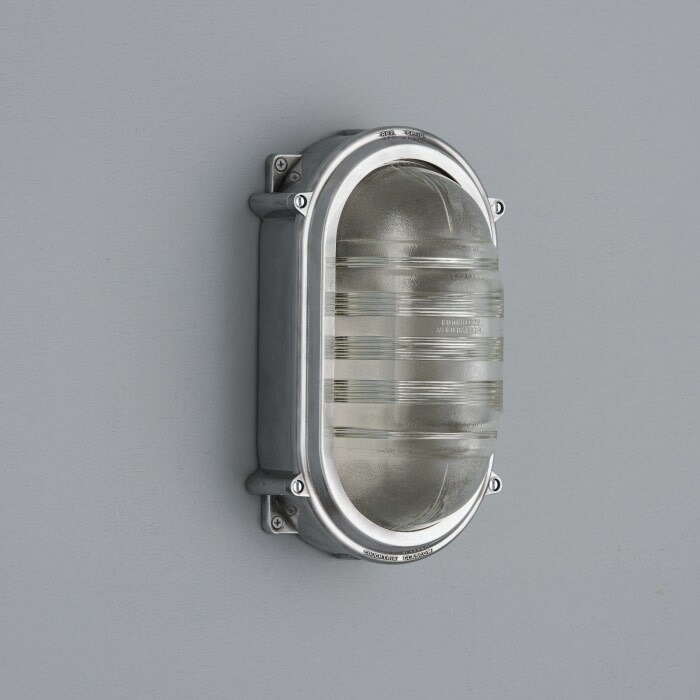 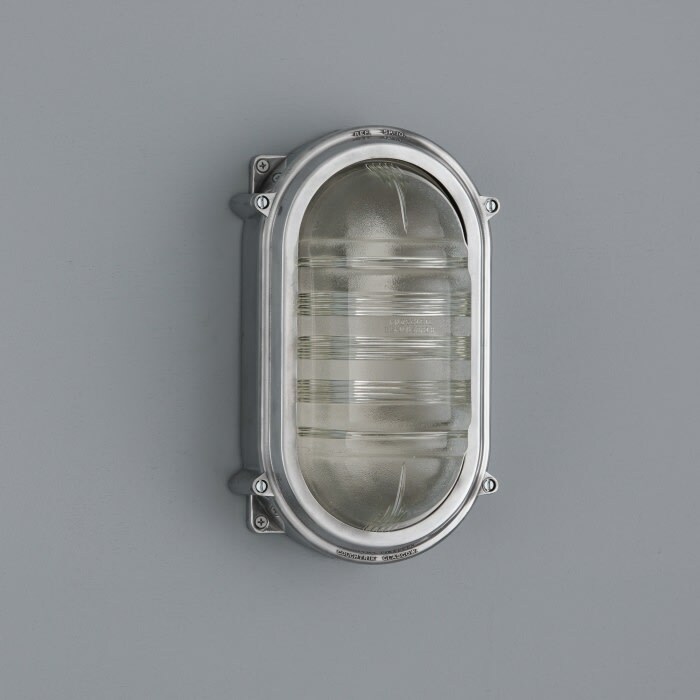 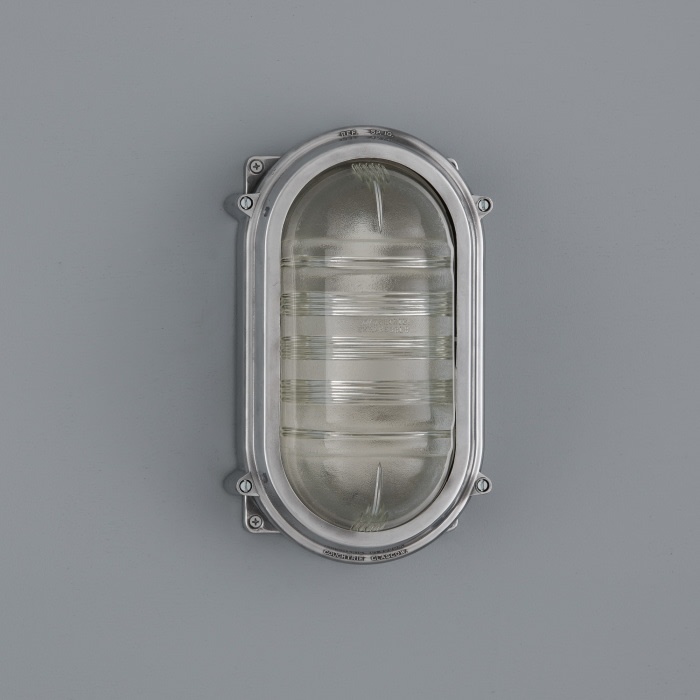 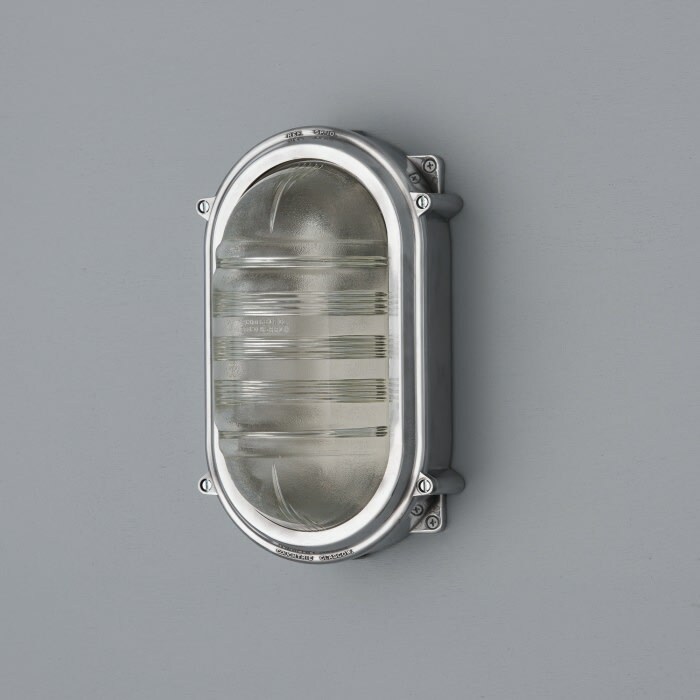 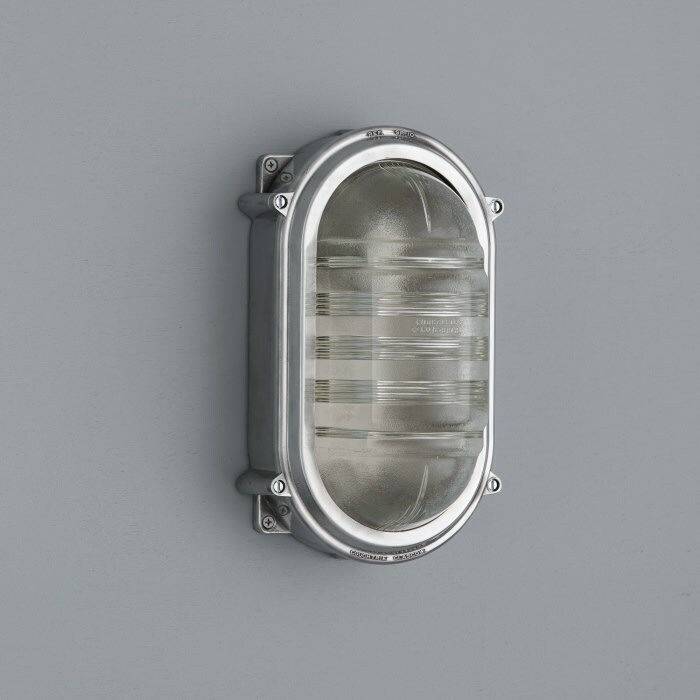 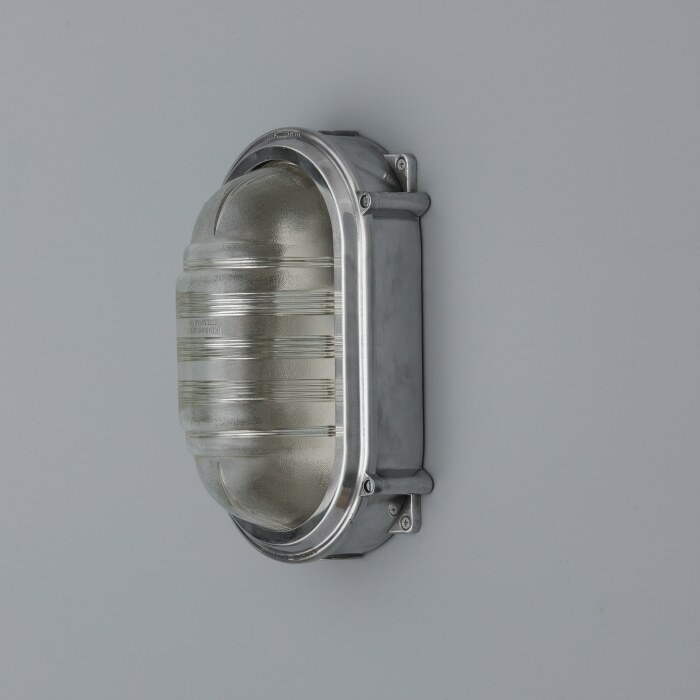 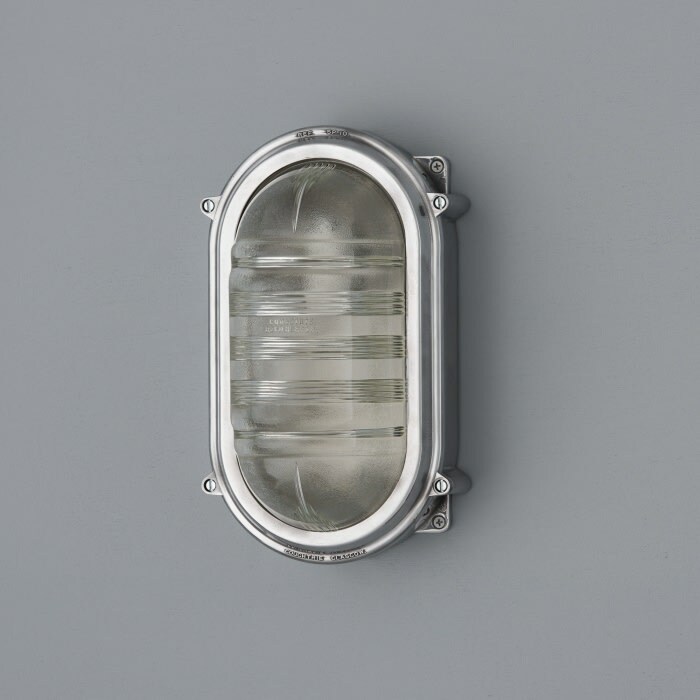 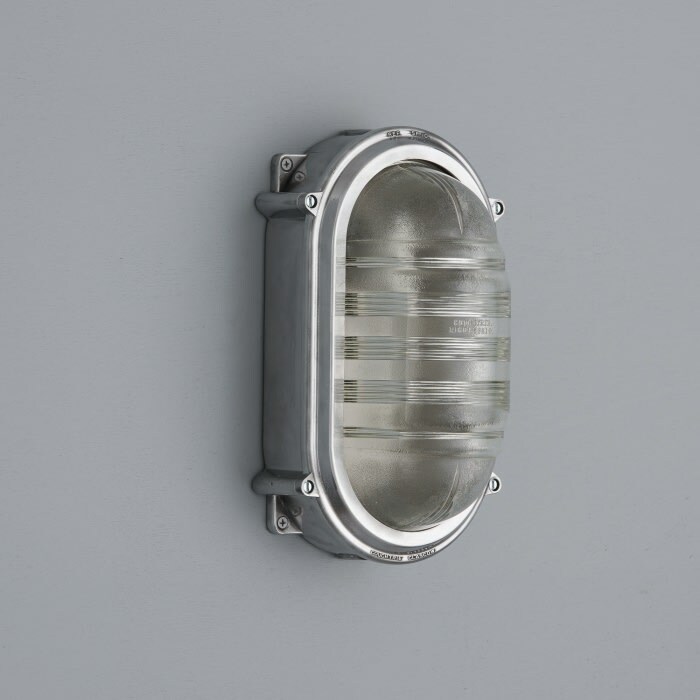 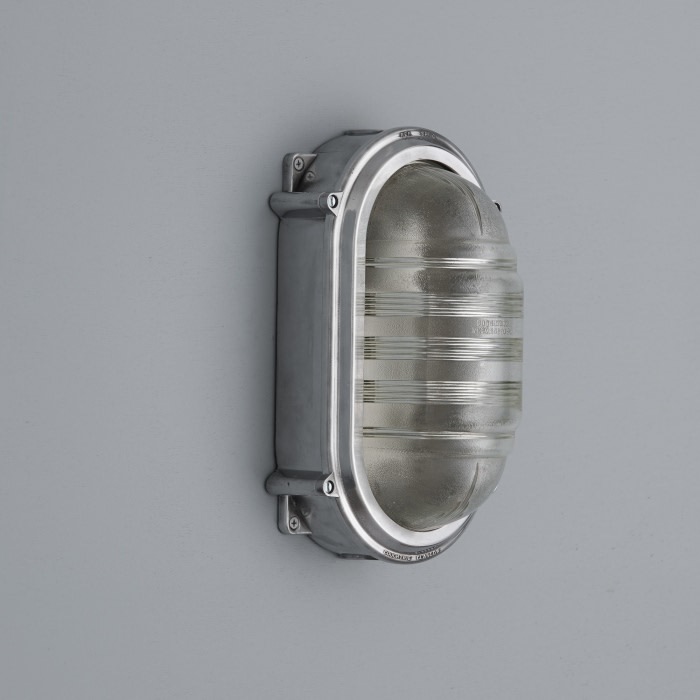 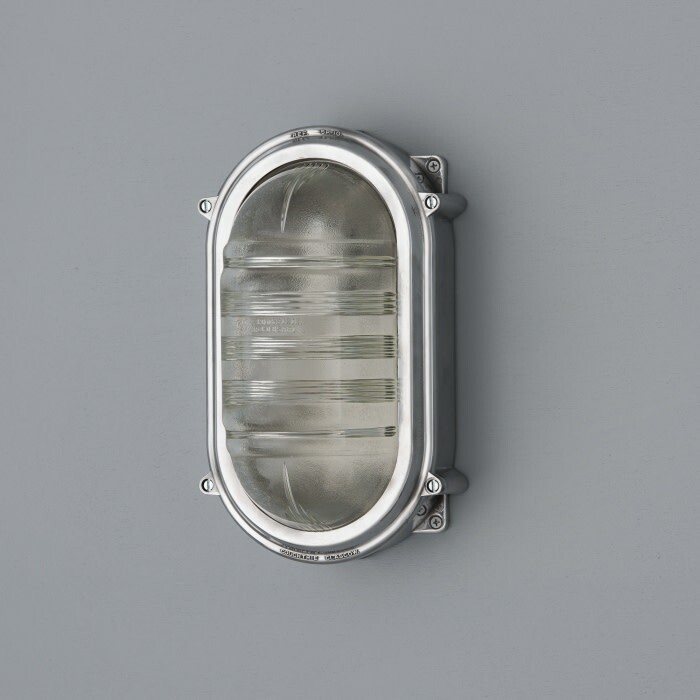 A polished two part aluminium housing with cast makers mark and prismatic/dappled glass lens which diffuses the light. 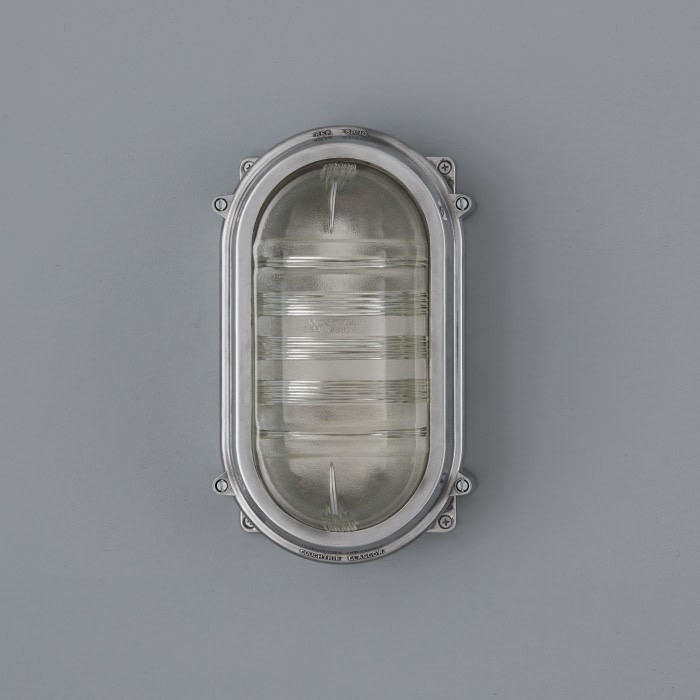 Over the years, we’ve restored thousands of lights, taking the time to investigate it's history, studying old catalogues for clues and assembling the whole story. 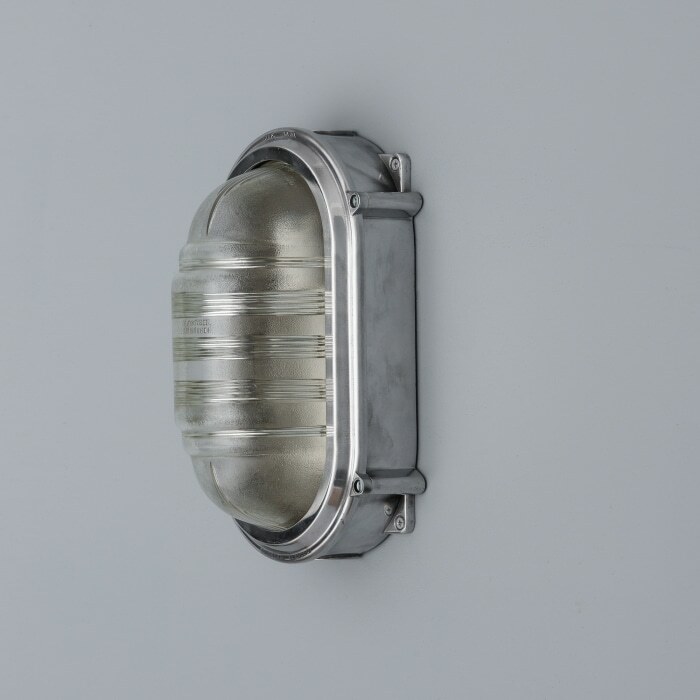 The extract shows the product in a Coughtrie catalogue dated 1954. 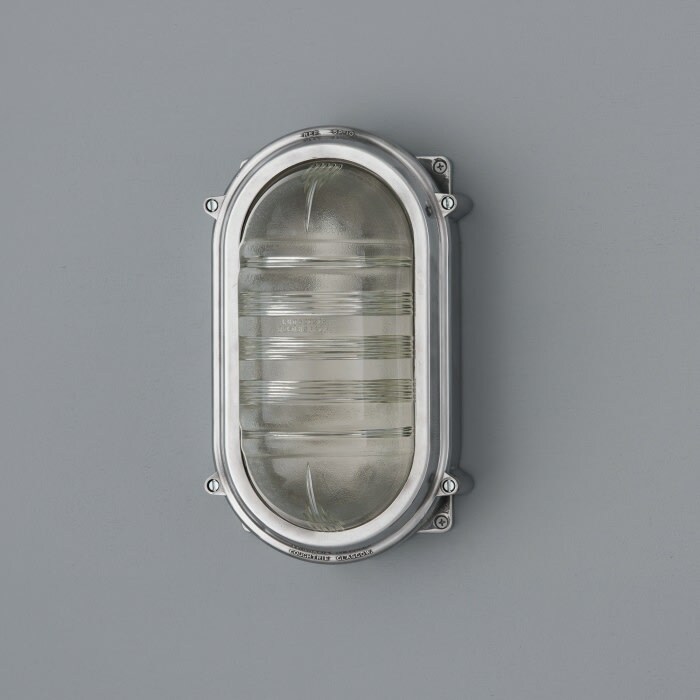 Established in 1941 on Montrose Avenue, Hillington Estate, Glasgow, Scotland, Coughtrie is one of the few companies from this period still in operation. 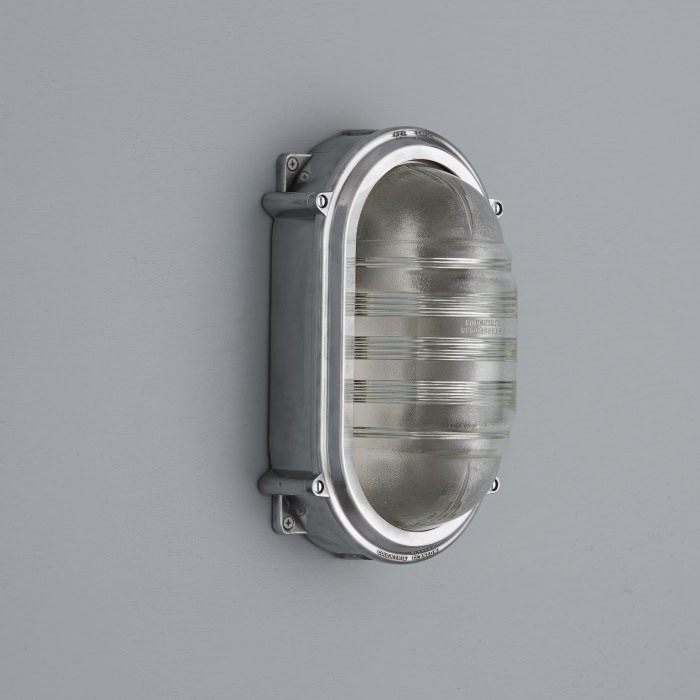 Their name continues to be associated with reliable industrial wall or ceiling mounted bulkhead fittings. 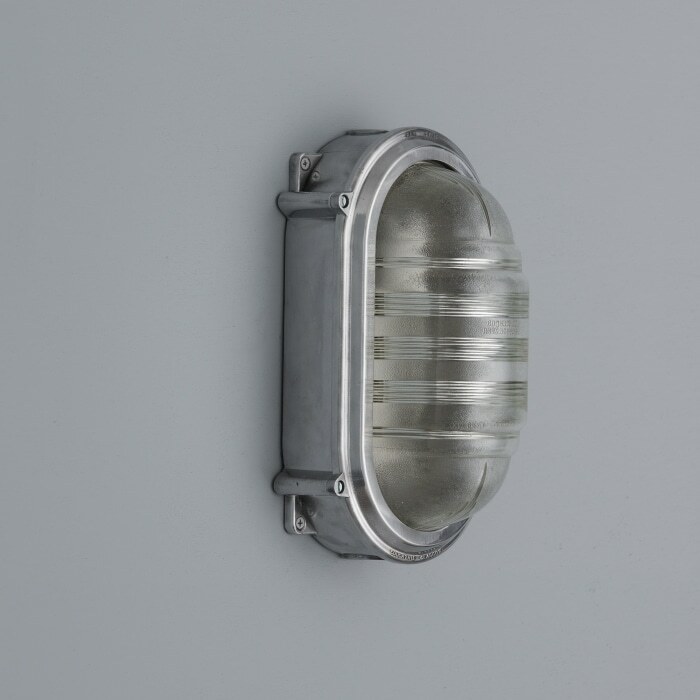 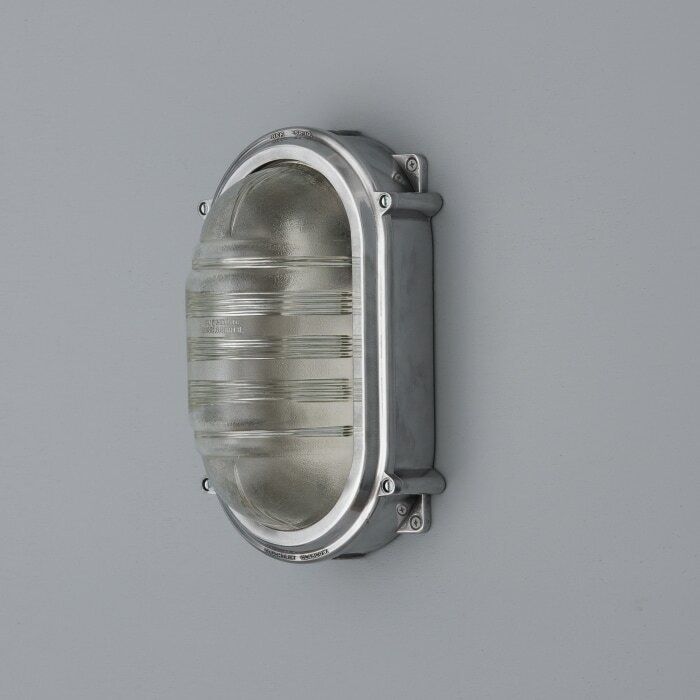 Over the years we have salvaged many beautiful lights made by Coughtrie, with their classic castings; lights that have in most cases, outlasted the buildings for which they were originally designed.